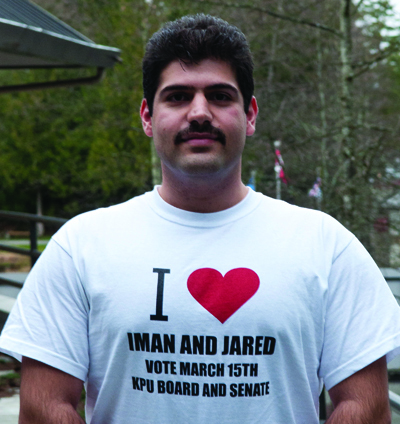 The races for the Kwantlen senate and board of governors (BOG) are heating up, with eight students vying for seats. The Runner’s editorial team has done some of the legwork to help you pick the best people for the jobs. All five of the candidates who participated in our gruelling interview process are running in both races, for one of two seats on the BOG and for one of four on the senate. Though the final grades ranged from As to Cs, each and every one of the candidates were eloquent, well-prepared and more than capable of representing students. We asked them the same set of questions and gave them a grade out of 100. They were evaluated in four categories: qualifications & commitment, knowledge of the issues, advocating for students and campaign promises. For brevity’s sake, we were unable to include all of their answers in our print edition, but you can find their detailed scores on our website next Friday. There were no right or wrong answers to most of our questions. We simply wanted to see how informed the candidates were about the issues and what sort of representatives they would be. Here are the questions we asked, and the real reasons why we chose them. 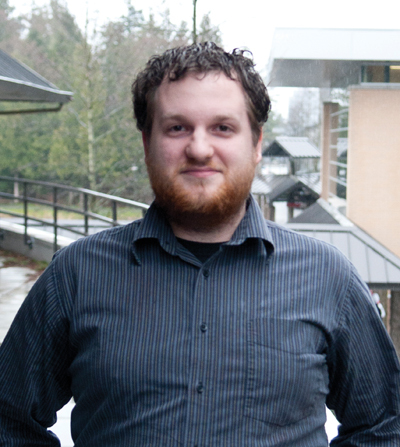 What extra-curricular involvement have you had at Kwantlen and in the community? Do they have the needed experience to be effective and are they connected to the Kwantlen community? Why are you running for office? Are they interested in making a difference or just in padding their resume? What role do the senate and the BOG have with the KSA? Will you be taking your voting seat on the KSA if you are elected to the senate? The first was a trick question to see if they understood that the university and KSA are separate organizations. The second was to see if they were going to help rebuild the KSA. Have you attended any BOG or senate meetings? Do they know what they’re getting in to? Have they shown some initiative? What is the most important issue facing students and how would you deal with it? Who are the current chairs and student reps? What are your positions on (1) the amalgamation of the social sciences and humanities faculties? ; (2) an extended reading break? ; and (3) Bill 18? How connected are you to actual students? Have you done any homework on the current board and on the relevant issues, and do you have any real ideas or solutions? What is your position on childcare on campus? How can education be made more affordable? If you are elected, will you represent students or the university? How do you intend to speak your mind, if the board is required to speak with “one voice?” Too many students reps on the senate and the BOG in the past have not been strong voices for student issues, so we wanted to know what kind of advocates they would be. We also wanted to know if they would be more likely to side with student interests or with the university when pushed. What are you promising students, if you are elected? Politicians are infamous for making promises and then not keeping them. We judged their promises and their platforms on their honesty, their ideas, their practicality and their ambition. We also intend to hold the winners accountable to their promises. Iman Ghahremani, a fourth-year criminology and sociology student, scores high marks for his involvement with multiple university committees and the faculty council for social sciences. He has also recently joined several KSA committees, in an effort to help rebuild their organization. He is campaigning on a platform for extended library hours, or if that is too expensive, he would also settle for extended open hours for another building on campus. He feels that students need a safe place to study on the weekends. He has done some research on the potential costs of his ideas. He also will push for on-campus daycare. He acknowledges that these projectss might not happen immediately, but he promises that progress will be made. Ghahremani also criticizes the current board representatives for not being more visible on campus and promises to be more available and transparent if elected. He loses points for not having attended any senate or board meeting before deciding to run. However, he does have a firm grasp of most of the issues currently facing the senate. In our opinion, Ghahremani would be a strong addition to the university senate. Chris Girodat, a second-year policy studies student, says he first ran because the university wasn’t doing a good job of communicating to students. In his current senate term, he has taken a strong stance for students. He believes that the most important issue for students is finances: tuition, student fees, loans and textbooks. He says the university needs to change the way they write their budget and questions why money is being spent on furniture for administrators when other departments are facing cutbacks. He helped oust the previous KSA board and hopes to continue reforming the student association. If re-elected, he promises to hold monthly townhall meetings with students so that they can be more involved with the bodies that control the university. He also wants to include more students within the university’s committees and not just the students who have been handpicked by faculty or administrators. Of all the candidates, Girodat has the strongest understanding of the relevant issues and thus receives our highest grade. Kari Michaels, a third-year philosophy student, has been a welcome change to the senate in her first term, compared to some of the more passive student representatives in the recent past. She has openly questioned decisions made by the university and repeatedly brought student issues back to the table. Michaels received our highest grade for student advocacy and we hope that all of the students who are elected take her example to heart. She believes that the key to making education more affordable is to cut administrative costs and not student programs. 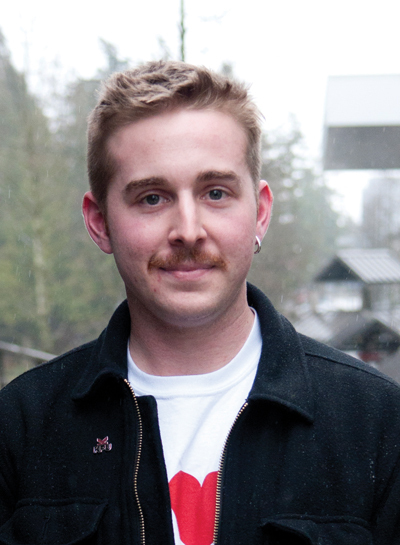 Michaels sits on one of the university’s Foundations of Excellence committees and is involved in multiple university clubs, including the Animal Rights Collective, the Grey Matters Philosophy Club, and Women Organizing Opportunities for Women. 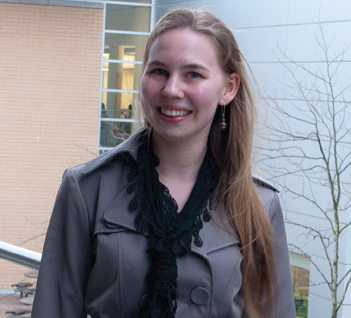 She also volunteers for Kwantlen Positive Space. Michaels loses points for not having attended any board of governors meetings. If re-elected she promises to create a student caucus, so that more students are represented at the decision-making table. Jared Penland, a third-year philosophy and political science student, is involved with the university and within the community. He participates in Rotary and sits on one of the university’s Foundations of Excellence committees. Penland has an extremely high grasp of senate and board of governor issues, scoring second-highest in that category. He identified high parking fees and daycare as issues of concern to students. He promises to do his best to extend library hours and to be vocal about student issues. He has also done some research into the costs of keeping buildings open over the weekend. He is critical of current senators Robert Mumford and Nikki Pearce for not being vocal enough about student issues. He compliments Kari Michaels for being vocal, but criticizes her for being abrasive. Penland loses marks for not having attended any senate or board of governors meetings. Although some of his answers left us with the impression that he would be more likely to side with the university over student interests, we believe that he would be a vocal student representative on senate. Keri Van Gerven, a third-year political science, psychology and philosophy student, scores the lowest of all of our candidates. She is heavily involved within the university’s president’s ambassadorial team, but lacks some of the experience of the other candidates on governing bodies and committees. She believes that senate members should stay out of student association politics and concentrate on academic issues. She is critical of some current student representatives for not showing sufficient respect for the history and the seriousness of the senate and the board. 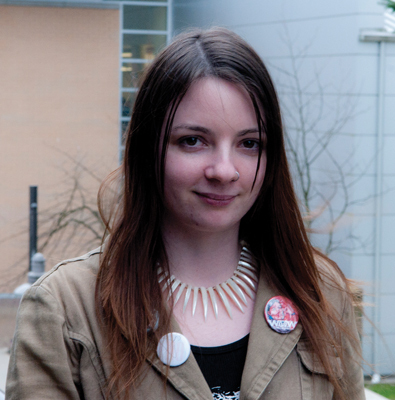 When it comes to finances, she believes that students are getting good value for their money, since Kwantlen tuition is cheaper than UBC or SFU, but still wouldn’t vote to increase tuition this year. She loses marks for not having attended any senate or board of governors meetings. She receives half marks for committing to attend all meetings, and for her honesty in not making promises she can’t or won’t keep. Her lack of new ideas or priorities hurts her final score. Even though she scores the lowest on our test, Van Gerven would still make an able senate or board representative. There are three other candidates who are not featured in this year’s election guide. Robert Mumford and Deborah MacLellan are running together for senate and the board of governors, while Mark Thomas is just running for the board. They did not respond to e-mailed requests for interviews and are thus out of the running for an official endorsement. Especially in light of the controversy that embroiled the KSA over the past year, we believe that all students running for public office owe it to the Kwantlen community to make themselves and their platforms available for public scrutiny.